There are 3 reviews of Rose Omeyyade. The fragrance opens with a big boom of gourmand rose and raspberry. It smells simultaneously jammy and boozy, as if the delicate rose petals are dipped in raspberry jam and rose liqueur, then coated with sugar crystals. The honeyed delicacy and the liqueur aspects remind me of the opening of Lancôme Parfait de Rôses without the geranium-like greenery, while the jammy aspect and the toffee-like thick texture make me think of Jo Malone Velvet Rose & Oud. While the rose-raspberry combination here is unabashedly sweet and gourmand, there is also a very noticeable fruity tartness that helps to balance the sweetness, which I don't encounter very often in gourmand rose-oud-raspberry fragrances. The rose-raspberry rampage calms down after about 1 hour, when the woody base starts to insert itself and eventually becomes an equal player. I don't smell oud in a well defined manner, but more like a smoky musky woody element that helps to restrain the jammy sweetness of rose. During the next three hours, it does succeed in undercutting the gooey texture to prevent the rose becoming too cloying. However, as the synthetic woody base grows even more prominent with time, it unfortunately turns a bit too screechy for my taste in the end, even though the honeyed ruby rose liqueur in the dry down is delightfully delectable. I got an overall longevity of 10 hours and a heavy to moderate sillage. Because jammy rose-oud-raspberry is not really my jam, my lukewarm response to Rose Omeyyade is to be expected. But at the same time, I find it among the less sweet in the gourmand rose-oud category, thanks to a more perceivable fruity tartness and the dry woody base, and I really enjoyed the honey rose liqueur dry down despite the woody elements turning a bit too raspy for my liking. If you happen to be looking for a gourmand rose jam/liqueur fragrance, I think Rose Omeyyade beig solidly made, might well worth a try. It is a nice rose smell where the counterbalance is given by woods, oud in drydown and greens up top. raspberry here does not play the same role as strawberry in Rose Dragon. I wish it did. The Greens i get up top is perhaps patch+raspberry. This is not a bad fragrance and would be FB but given the million masterpiece I got to smell in rose pass this will be a pass for me. Its drydown is similar to Terenzi's Ecstasy or Armani's Oud Royal. This is a sweet perfume, but it has plenty of counterbalancing complexity to my nose to make it interesting and wearable. Some ingredient in this is nice. I get an image of traveling in Europe, waiting for a train in France. I'm guessing it has a synthetic wood I happen to like. 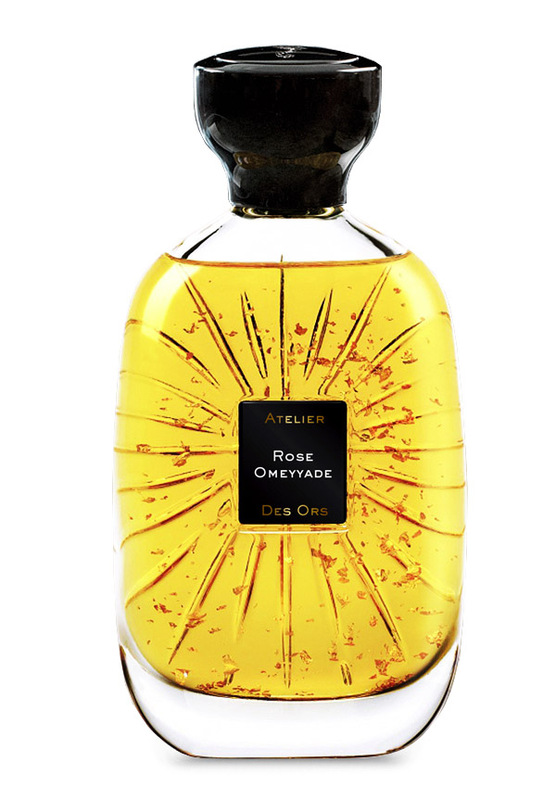 Atelier Des Ors Rose Omeyyade 100ml EDP Sealed, Authentic from Finescents! Atelier Des Ors Rose Omeyyade EDP 2.5ml Bottles New In Box! Fast Shipping!